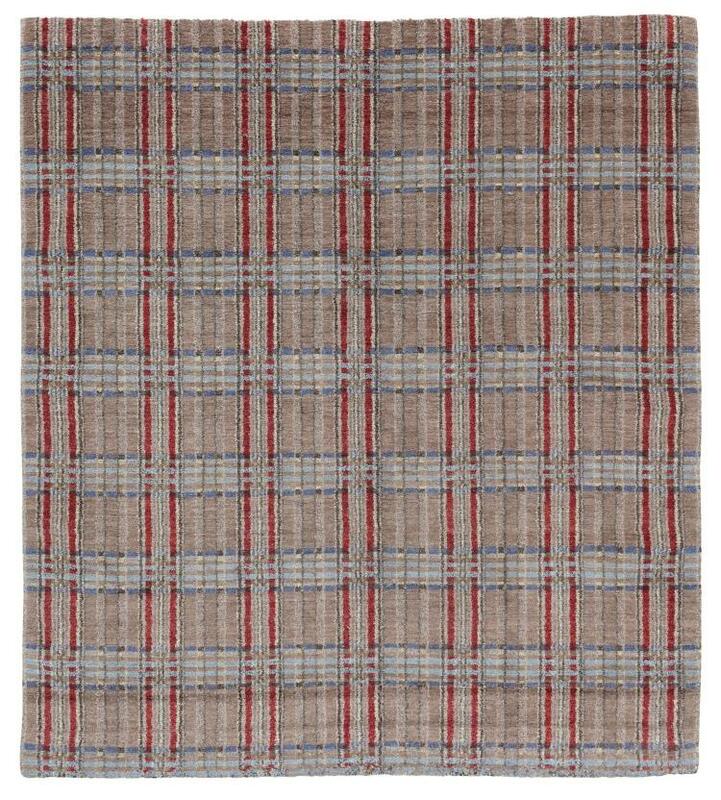 Description: Huntsman's Chairman has commissioned bespoke rugs from luxury artisan Luke Irwin for decades, including the striking red and grey rugs adorning Huntsman's Savile Row and 57th Street premises and his Holland Park apartment. Tweed is a versatile material, and can produce striking effects when used in interior design, so it was only natural for Huntsman and Luke Irwin’s creative teams to work together to scale the design of Huntsman's exclusive Gregory Peck bespoke tweed to a pattern fit for this hand-knotted wool and silk mix Persian rug. This lot is the first prototype, 8' by 10' in size, and will easily find its place in classic and modern interiors alike.